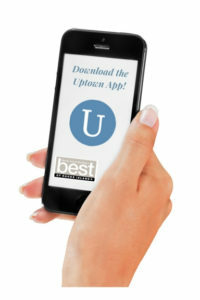 Give the gift of Uptown and join countless others that have trusted us with pampering their lucky recipient. Gift certificates can be used towards any service in the salon or spa, and at either of our 2 locations. Gift certificates make terrific anniversary presents and members of bridal parties will delight in your thoughtfulness. And don’t forget the special men in your life who are just as deserving of Uptown attention! We’re open 7 days a week, so it’s easy and convenient for your gift recipient to take advantage of your generosity. Thank you for choosing Uptown Salon and Spa!